Wendy Meredith, PAC joined Dr. Barkey in 2002. Before beginning her education as a physician assistant, Wendy received a Bachelor of Science degree from Central Michigan University, majoring in Dietetics. She worked originally as a Clinical Nutritionist and later as a Home Care Dietician for Hurley Medical Center for seven years. Wendy graduated from the Physician Assistant program at the University of Detroit Mercy and was president of her graduating class. After obtaining her Master of Science—Physician Assistant degree Wendy worked for almost 4 years taking care of hospitalized patients for a busy group of internal medicine specialists at Hurley Medical Center. While at Hurley Medical Center, Wendy also functioned as the Coordinator for Physician Assistant Students. She was responsible for scheduling and overseeing over 50 student rotations per year for students that came from over a dozen physician assistant programs. Besides working side by side with Dr. Barkey for over fourteen years, Wendy has expanded her knowledge base by attending numerous CME courses (over 100 hours every 2 years). In 2004, 2010, and again in 2016 she passed her re-certication examination.. She has attended numerous dermatology seminars and courses and has become proficient at performing many cosmetic procedures including GentleLase® laser for hair removal, the Lumenis One® Intense Pulse Light device for photo-rejuvination, Botox® injections (both cosmetic and medical), various facial peels (including Vi and Fusion), and fillers (Volbella®, Voluma®, Vollure®, and Juvederm®). 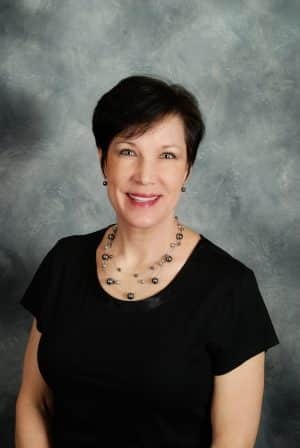 Wendy Meredith PA-C is a member of the following professional organizations: Diplomate of the Society of Dermatology Physician Assistants, Fellow Member of The American Academy of Physician Assistants, Fellow Member of The Michigan Academy of Physician Assistants.